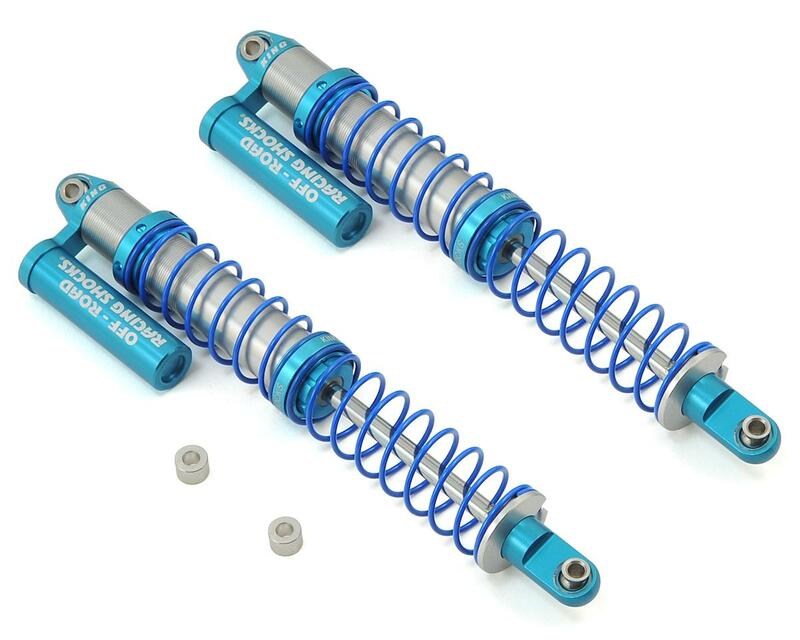 The RC4WD Axial Yeti King Off-Road Dual Spring Shocks are a great shock option for the rear of your Yeti or Yeti Trophy Truck. 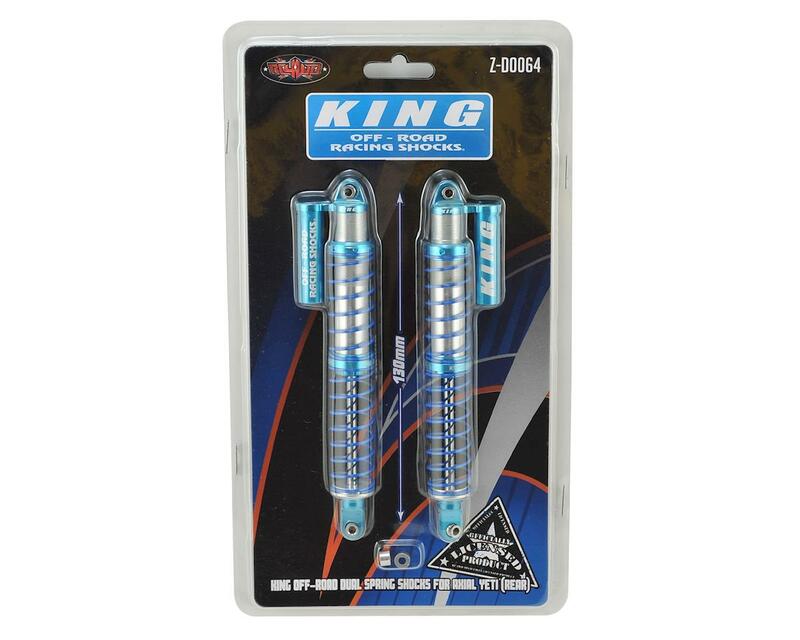 Officially Licensed from King Shocks, these machined billet aluminum shocks are completely rebuildable and feature blue powder-coated springs, laser etched shock caps and sleeves with King logo. Dual internal o-rings help seal in the oil and provide consistent shock damping. If you are building a custom Yeti based rig, these shocks are a must have. Shocks performed alright under standard conditions, shock piston coating started to peel off after 2 weeks of operation, shocks leaks a lot of oil, one shock was pretty much empty, other lost about 80% of its oil, also bought the front pair. Also leaks and peels like the rear set.